Digital Effects Graphics Division providing vehicle wraps installed by certified installers, decals, vinyl signs, banners, ATM wraps, large format printing, vehicle graphics, window graphics, screen printed apparel, embroidery, promotional items, and much more. With our headquarters located in Texarkana, Texas, we provide digital graphic solutions for Northeast Texas & Southwest Arkansas. Digital Effects is an East Texas based printing company specializing in vehicle wraps and graphics, vinyl signs, decals, banners, large format printing, custom screen printing, & embroidery. Cody Stearman (Owner/Operator) has over 12 years experience offering a range of products from signs and banners, vehicle wraps, wall and floor wraps, and many other custom applications. With an in-house design team and certified installation crews servicing all your branding and marketing needs. Our goal is to provide you with the marketing tools your business needs to succeed. We are a highly motivated group of professionals that are determined to produce superior products with creative and quality designs. 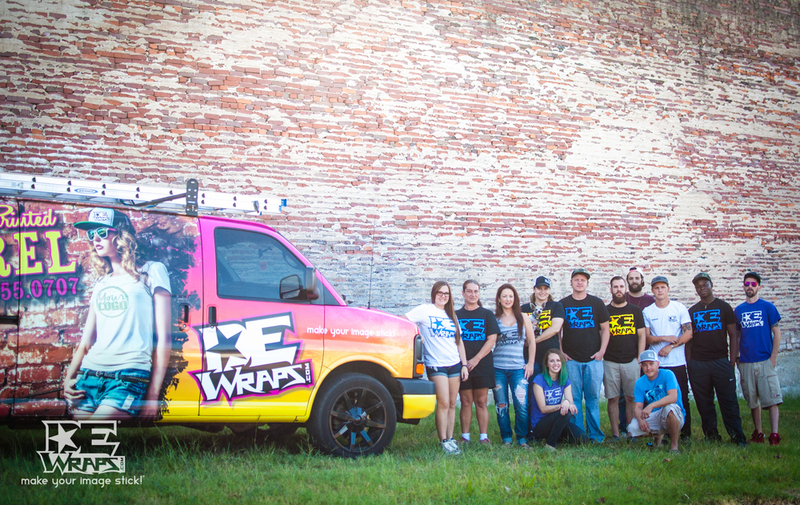 Digital Effects is an East Texas based vinyl wrap sign and banner company providing high quality vehicle wraps in addition to signs, banners, large format printing and a variety of other graphics and promotional items.